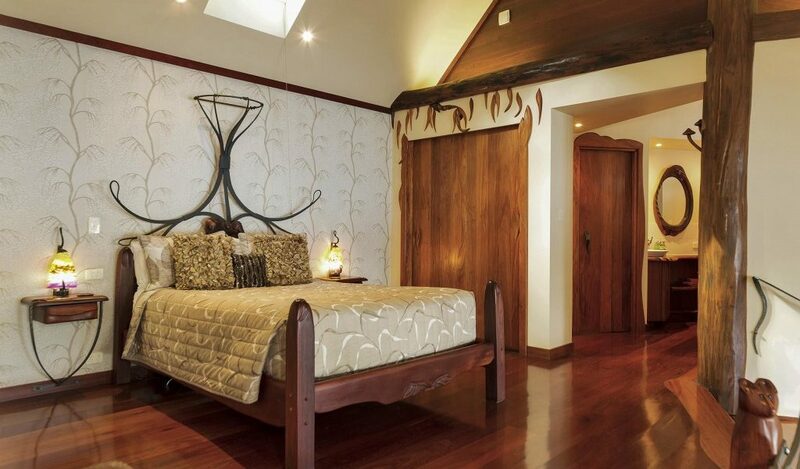 Our flagship “honeymoon suite” cabin Secrets is for any couple looking for something extra special. 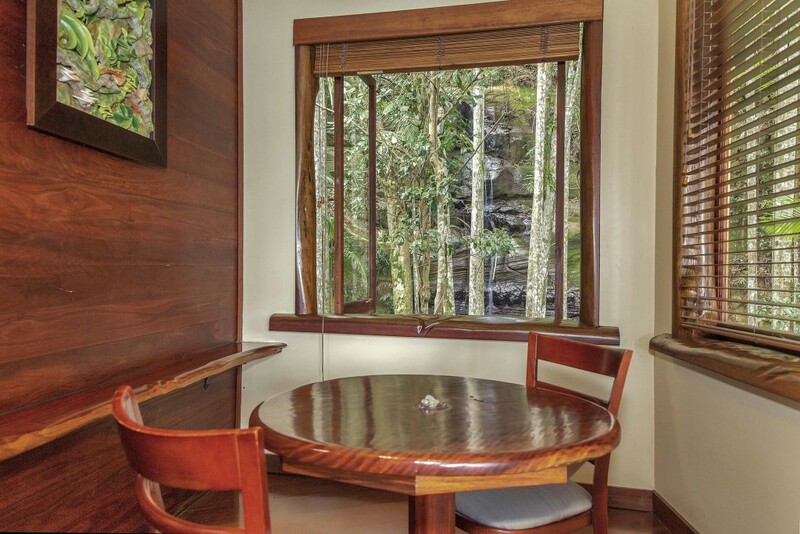 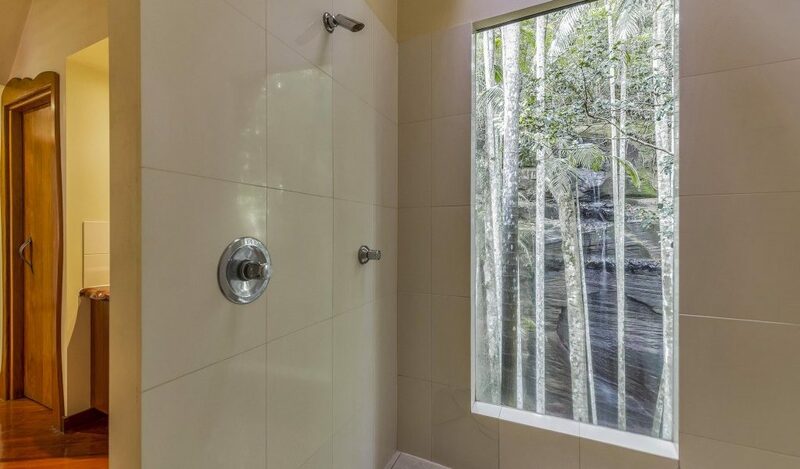 Secrets sits high in the rainforest on a rock ledge and backs onto a grove of palms and ancient red cedar trees, and guests who stay here have access to their own private waterfall that falls over an ancient cliff face. 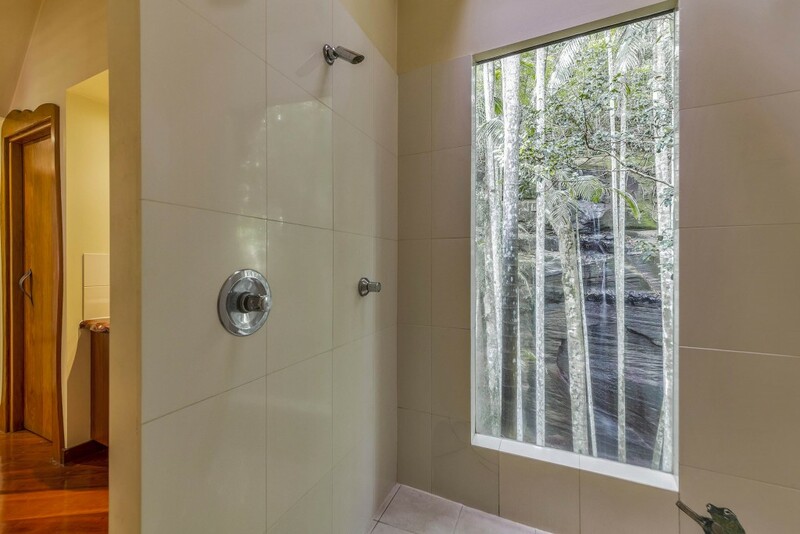 The impressive Secrets bathroom looks out directly onto Secrets private secluded cliff face and has a large walk in shower with a beautiful mosaic floor. 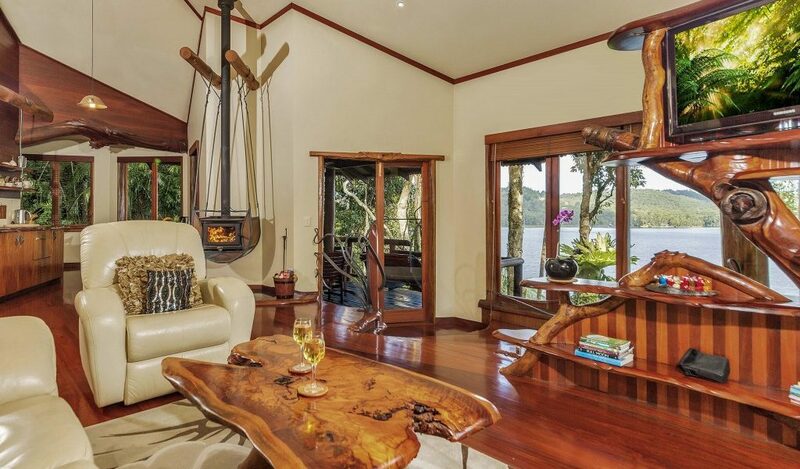 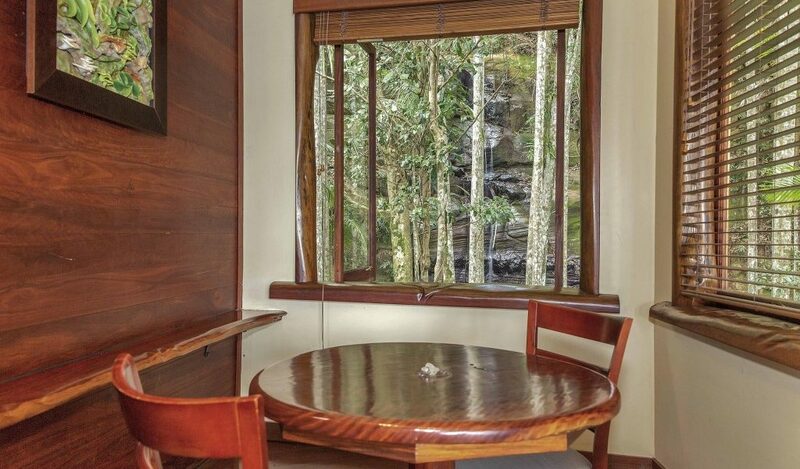 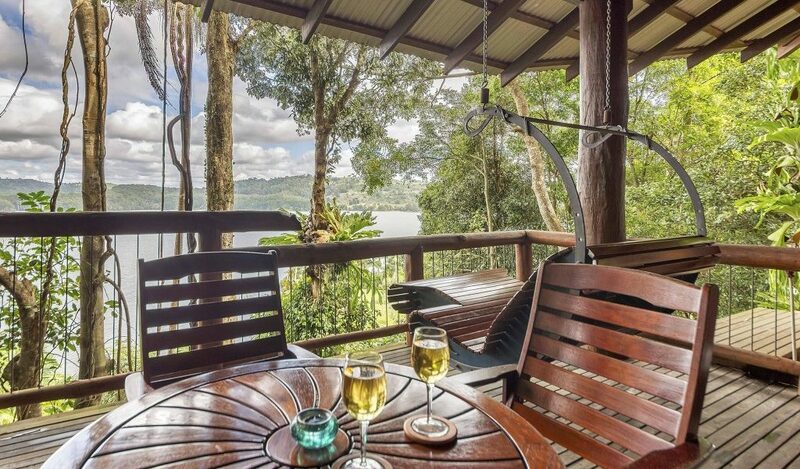 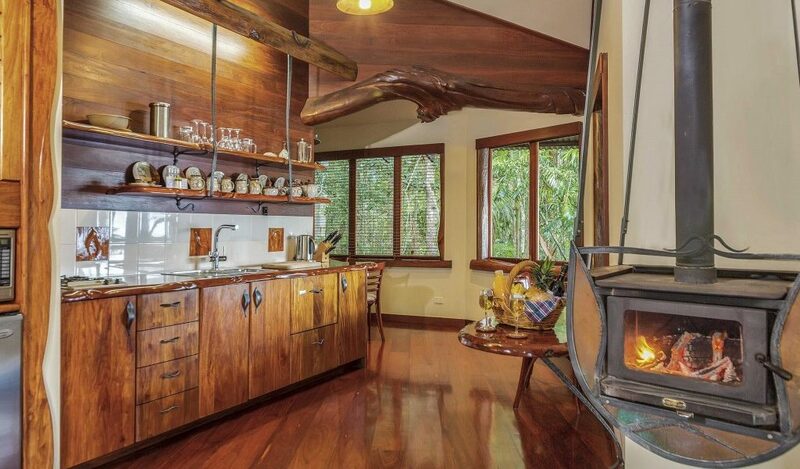 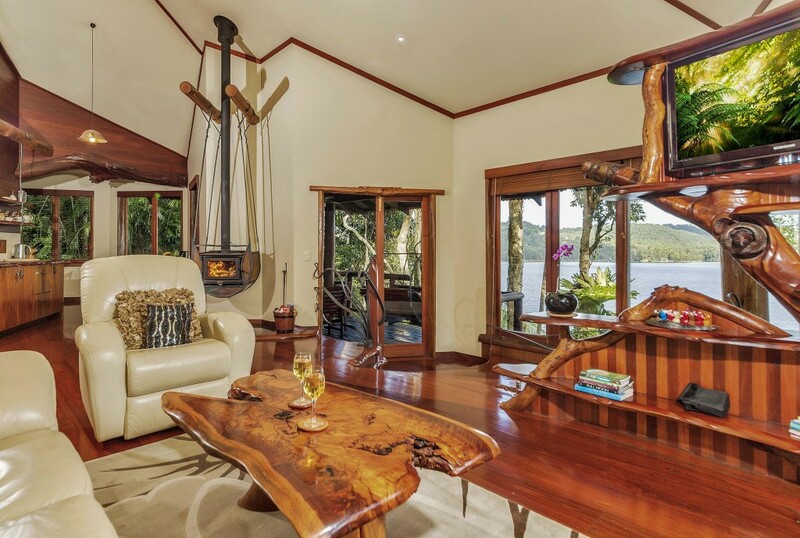 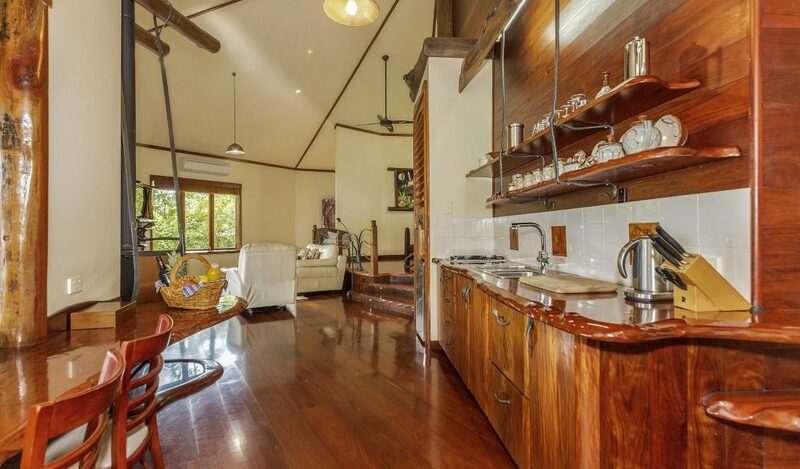 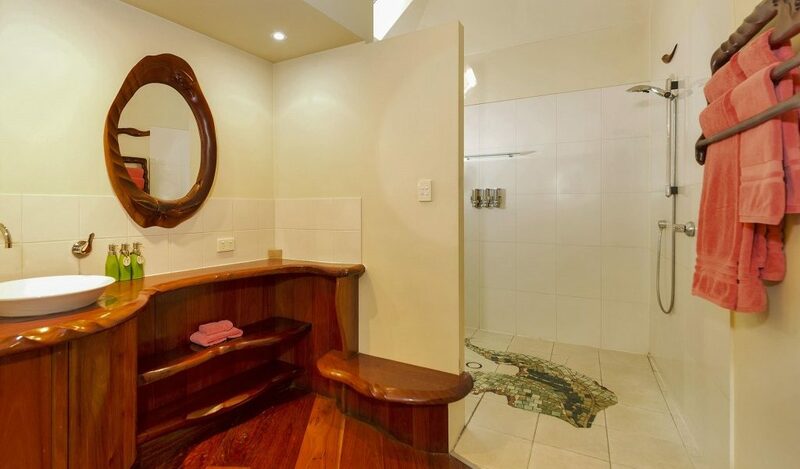 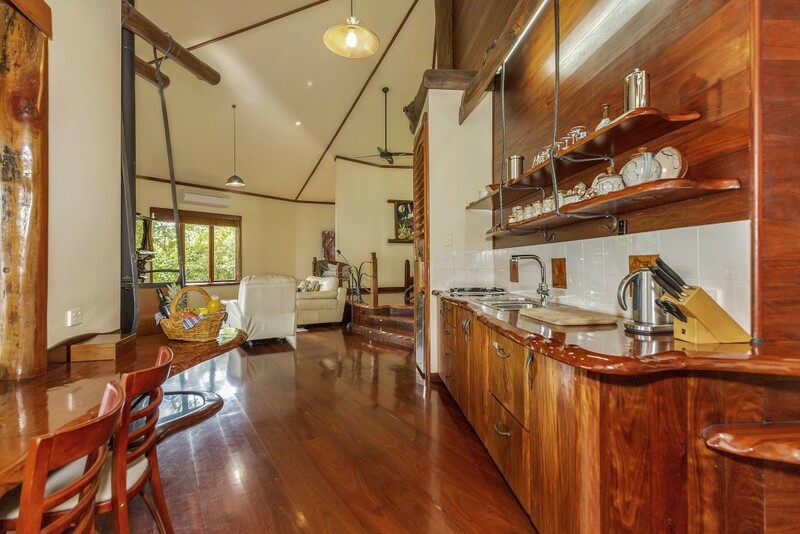 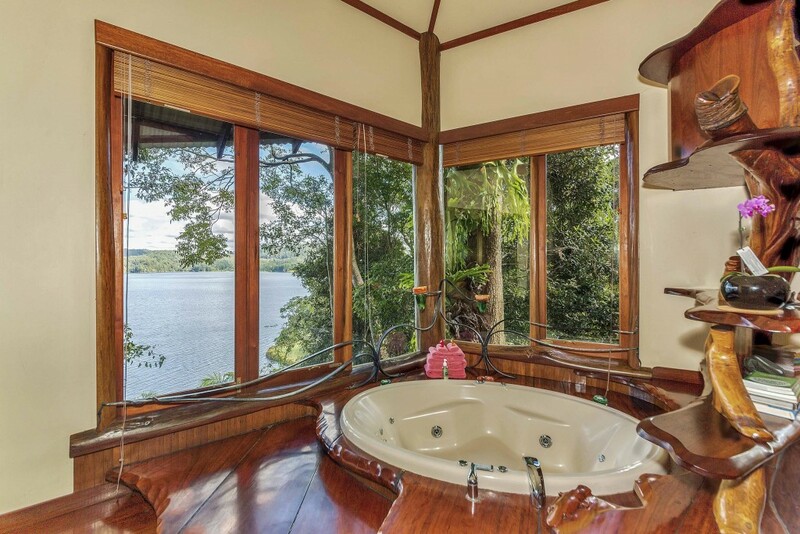 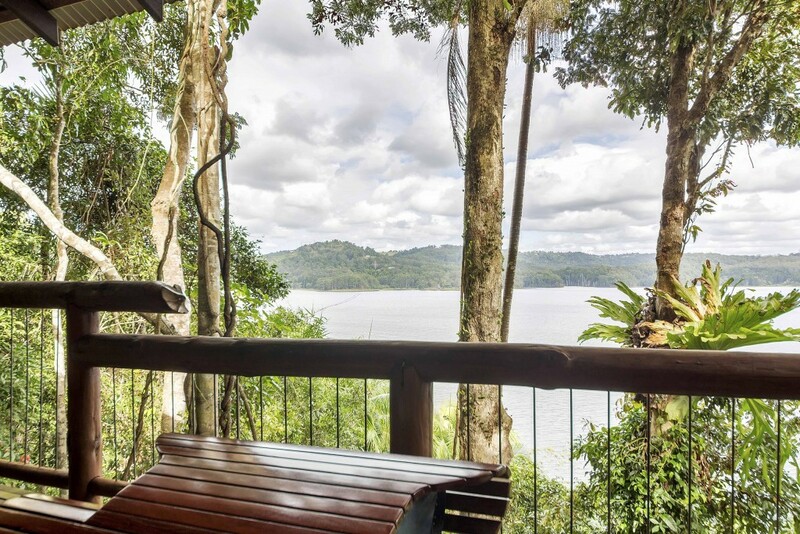 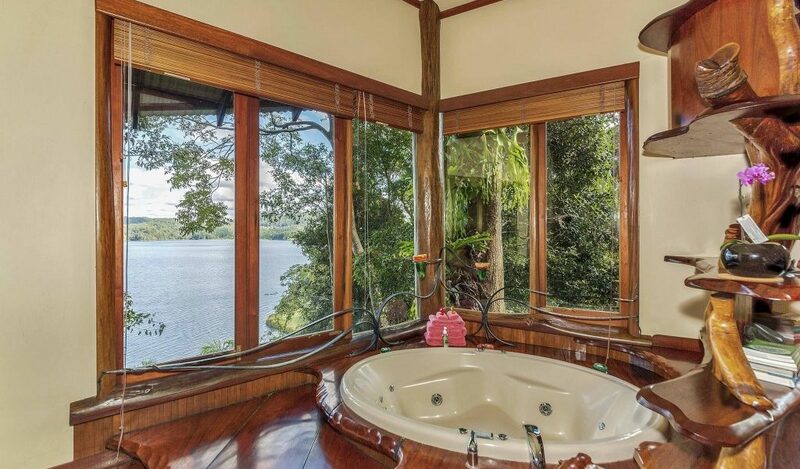 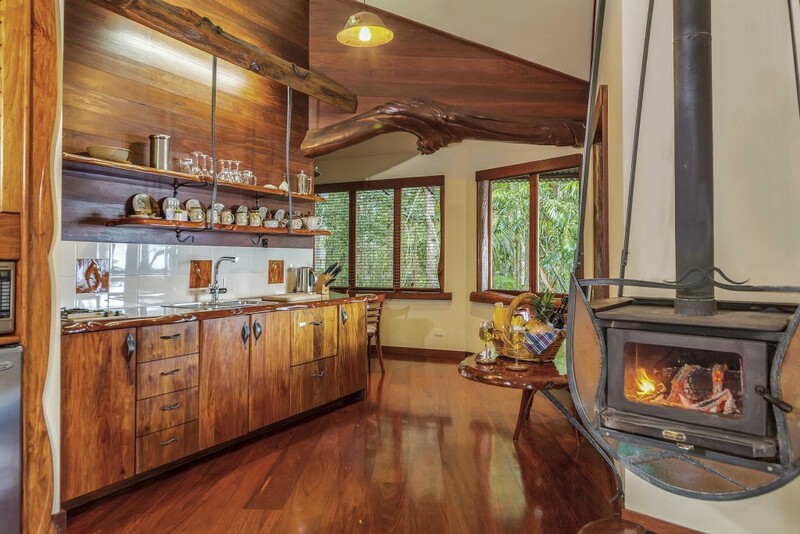 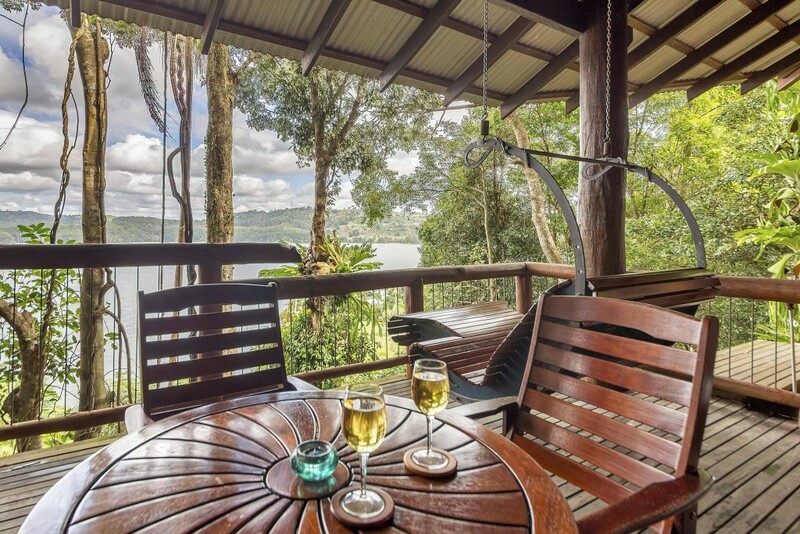 This cabin has been very popular with newly weds and honeymooners due to its privacy and breathtaking panoramic views of the rainforest canopy and Lake Baroon. 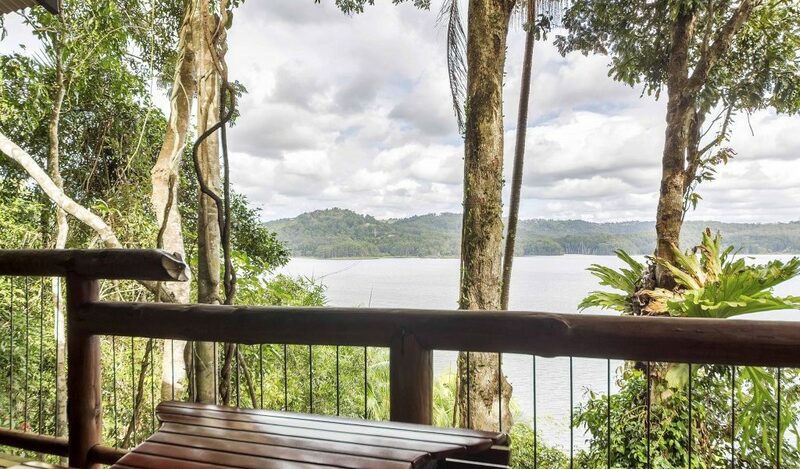 It is the largest of the one bedroom penthouse treehouses and has an extra dining area with a view of the rainforest and waterfall. 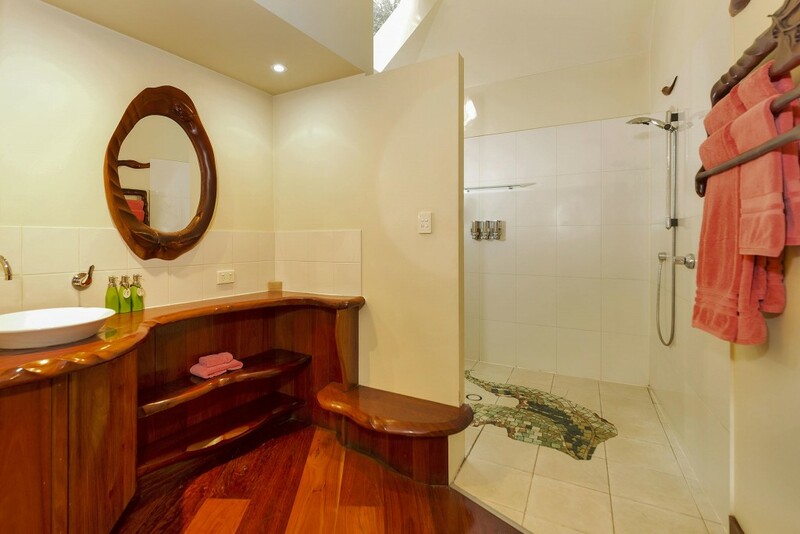 Secrets is home to many local artist’s work including a beautifully hand-carved front door by Jack Wilms, stain glass windows by Marion Uithol as well as some iron work and mosaics. 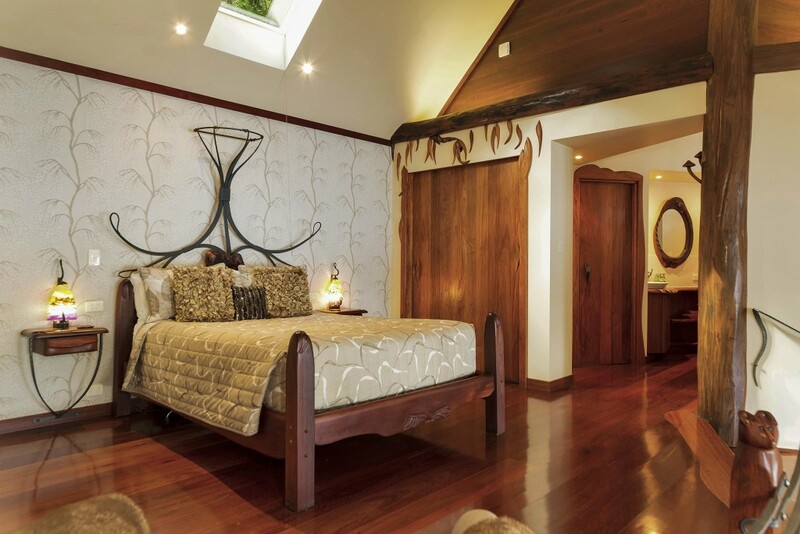 The artistic creativity as well as the location of Secrets makes it an amazing location for a special honeymoon, anniversary or celebration.